It’s probably better to leave these people alone. They will find us if they want to. 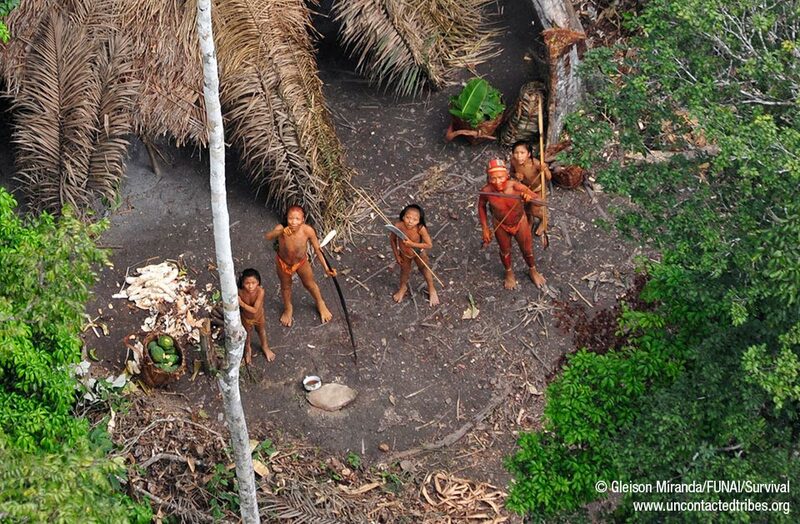 Of course I am curious to find out about these yet uncontacted tribes. It would probably be extremely interesting. But in this case, moral restraint should trump scientific curiosity. This entry was posted in Brazil, Human Rights, Life and tagged Amazon. Bookmark the permalink. 3 Responses to Don’t disturb! Great pic though, and good to reflect upon it. Dawsr, you are right, humans think they can live above nature and we have traded in family, community and leisure time for lots of useless gadgets that have us running stampedes for sales at Wal-Mart and keep us with our nose to the grinding wheel and in debt. In truth, once the basic needs are met, what makes people truly happy is to belong and to be surrounded with friends and family. The rest is just meaningless kitsch. However, we are now trapped to feed this insatiable machine that crunches out the goods, markets them and sells them to us as ‘wants’ that we cannot do without (thanks to marketing gurus that are experts in creating cravings where none existed before).